Martin Music Guitar was founded in 1997 by Eric Martin. Eric worked in another local music store at the time, and also worked in the recording industry, before deciding to open his own guitar store to work in full time. 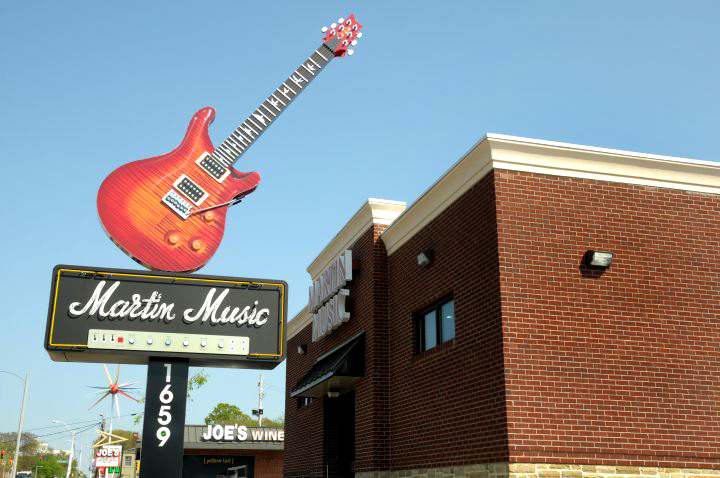 Since 1997, Martin Music has grown into an international name, shipping guitars all across the world. We've shipped several thousand guitars via UPS! We know how to pack your precious cargo properly, and everything we ship is fully insured. But, we don't neglect those at home, either. We always love it when you can come into our store, where we have an expansive selection of guitars, basses, amplifiers, pedals, and accessories all suited to any level of player expertise. We offer guitar lessons, instrument service and repair, gear trade-ins and consignment, and many other services. All you gotta do is ask! We accept Cash, Mastercard/Visa, Discover card, Certified Bank Checks/Money Orders. You can call us at 901-729-2466 and place your order with one of our dedicated and experienced employees who will be able to answer all your questions. Bank Wire Transfer, Personal Checks with 7-day hold work as well. Sorry, absolutely NO COD's.